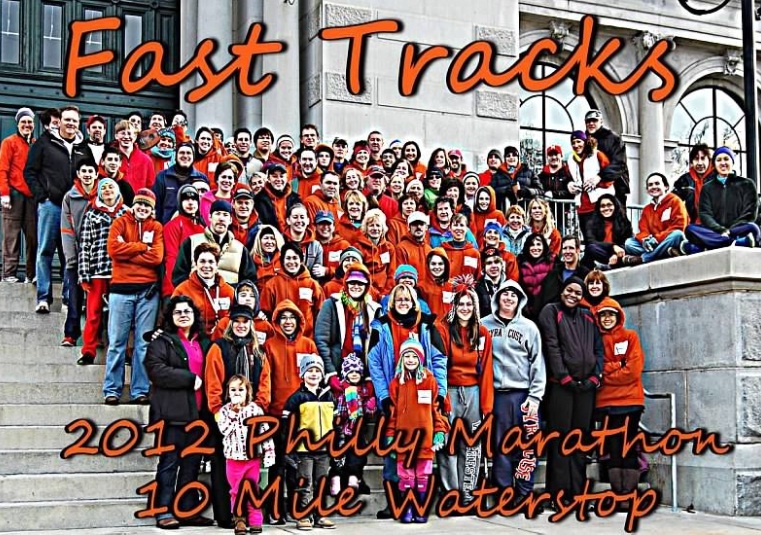 Based in Valley Forge, Pa., the FAST TRACKS running club was founded in 1993 with a very special commitment to women's running. As running has evolved, so has FAST TRACKS, which now welcomes both women and men. We invite anyone with an interest in running, regardless of age, experience, ability, or running goals to join us. Our commitment is to provide a welcoming environment for all runners. During our scheduled meetings (which include informative speakers), our organized runs, and various social events we share each other's knowledge of health, fitness, running and training while providing ongoing support for all of our members. We invite you to explore our website for all the exciting things FAST TRACKS has to offer. We offer organized runs nearly every day of the week which accommodates a variety of paces and distances. Our summer and holiday parties, Susan B. Anthony Dinner, Broad Street and Distance Run tailgates are a great opportunity to continue the camaraderie. Anyone is welcome and encouraged to come to any of our runs and other events (click on link for Club Calendar for details). Membership information is available by clicking on the Join Us link. Fast Tracks is a proud member of USATF (click on Useful Links for details and upcoming events). We have a permit from Valley Forge Park that members should be familiar with . . . click here to review the permit. Members can click here for our bylaws and minutes of meetings. Fast Tracks welcomes you to sample one or more of our runs which cater to all distances, paces, and terrains (click on the day to learn more) . . .
Running a race and looking for others who might be? Click to learn more . . . Try a Fast Tracks anagram . . . click to learn more!